Although many car maintenance tasks and repairs are within the capabilities of most car owners, there are myriad other tasks related to car repair and service that are best left to the experienced professionals at the mechanic's shop. Car maintenance and repair often involves the use of expensive and intricate equipment, diagnostics computers, and tools. Additionally, some repair jobs can be exceptionally time consuming, can involve hazardous materials, or may be dangerous to complete. Finally, the experience that is gained in becoming a professional mechanic can be critical for recognizing and correcting small problems before they become larger, expensive repairs. For all of these reasons, it is sometimes best to leave it to the professionals. Periodic car service is a critical part of car ownership. 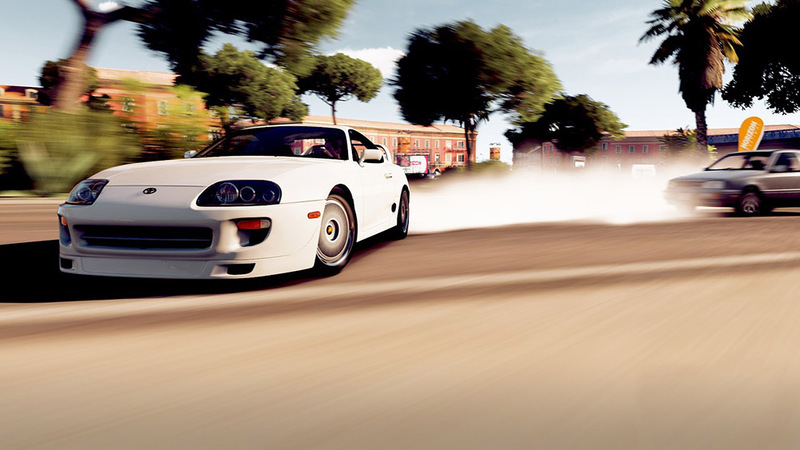 A vehicle's safety, longevity, drivability, performance, and handling are in large part determined by the consistent care delivered over the lifespan of the vehicle. 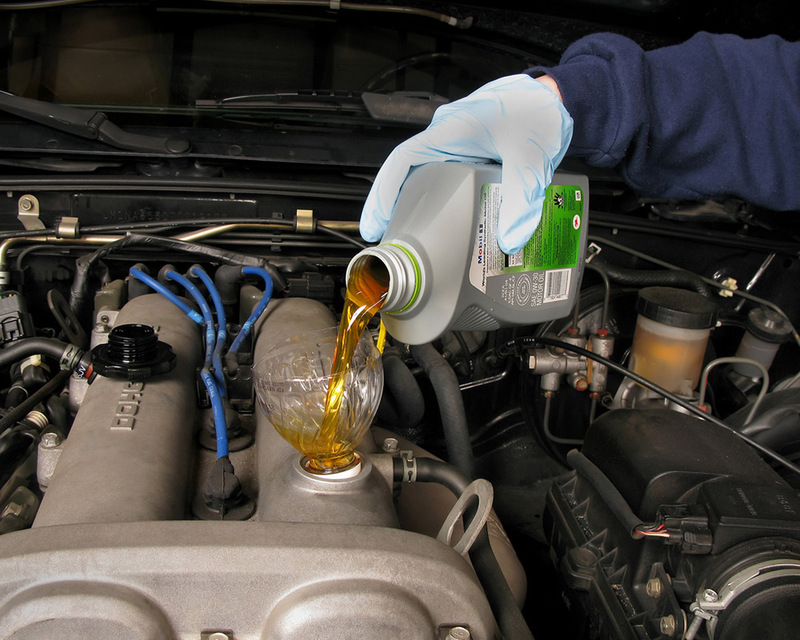 Some maintenance tasks, such as filling the wiper fluid and perhaps changing the oil can be handled at home. Image Courtesy - «step 5» by Robert Couse-Baker on Flickr, licensed under CC BY 2.0. However, seek professional help under the following conditions; confidence in the ability to safely and completely do the work is low, special tools or equipment are required, conditions of wear must be evaluated to determine needed repairs. When in doubt, have a complete service done by a professional in order to gain valuable insight into the overall condition of the vehicle. Aside from periodic maintenance, vehicles occasionally need repairs. Use the following guidance to decide if professional help is required. Does the vehicle suddenly sound, smell, look, or drive differently? Unusual sounds during start, driving, or braking can be signs of trouble. Does the vehicle shift smoothly? Does it make a squeal or grinding sound at stop signs? Is there a plume of smoke, either white or blue, after start or while sitting at a light? Is there any unusual smell, like burning rubber or cooking eggs, during operation? Paying attention to both normal and new or unusual signals from the vehicle can help detect and identify trouble. Any of these signs warrants a trip to the shop. Likewise, drips or leaks under the car should be investigated. Puddles of water, especially after the air conditioner has been used in humid climates are not a concern. Puddles of any other fluid are a big problem. A few drips of oil, coolant, or any other fluid under the engine or wheels should be traced to their source before a larger problem develops. The engine is one of the most expensive replacement items on the vehicle. Additionally, most of the components responsible for safe operation interface directly with the engine and will cease to function if the engine quits. For these reasons, keeping the engine in good condition is paramount to trouble-free motoring. 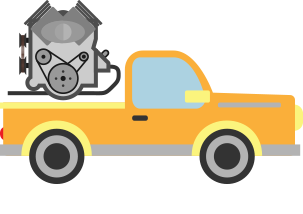 Signs of engine trouble include colored smoke from the tail pipe, engine roughness either at speed or at idle, and may include a check-engine indication on the dashboard. It is important to note that a check-engine light can be a number of things related to engine, transmission, emissions or fuel system concerns. The owner's manual should be reviewed as indications may vary. For example, in some vehicles, a flashing check engine light indicates a problem that requires an immediate engine shutdown to avoid further damage. Regardless of cause, a check engine light requires that the car be connected to a diagnostic scanner at a shop to identify the problem. Where smoke and engine roughness are concerned, either can be signs of trouble with oil leaking past various seals or with timing, fuel flow, ignition or broken engine linkages. Any of these problems requires knowledgeable professional diagnosis and repair. One of the most commonly discussed problems is the "blown head gasket" which could result in smoke, engine roughness, fluid leaks or frequent overheating. The head gasket is the seal that separates the top and bottom of the engine. A separation in that seal allows coolant and oil to mix in places where they should always be separate. Replacing a head gasket is an expensive, time-consuming and complicated repair. If a vehicle does anything other than smoothly glide to a stop when the brakes are applied, there is trouble. Squeaking, grinding, pulling to one side, vibrating in the steering wheel or brake pedal, grabbing brakes or a mushy pedal are all signs of problems in the brake system. 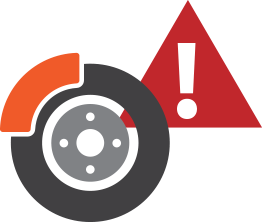 It is critical that brake problems be identified by a professional and repaired immediately as a failure in the brake system can have catastrophic safety consequences. Tires and suspension assemblies form the foundation upon which the car interacts with the road and the basis for control of the vehicle. As such, failures in these critical components can lead to serious safety issues. If, at any time, the feel of the car through the steering wheel changes, if the steering is loose or stiff, if the wheel shakes or the car wanders when no steering inputs are applied, the vehicle must be inspected by a professional. These problems may be addressed by something simple like tire inflation or rotation which is something that should be inspected and adjusted regularly, or through more complicated repairs like replacement of tie rod ends or ball joints. Where suspension is concerned, drivers should be aware of changes in the road-feel of the car as it encounters bumps and drives through turns. A bouncing sensation after encountering a bump, excessive lean while cornering or a sideways wiggle through a corner can all be signs of suspension wear. An easy check, called the bounce test, can be performed. With the vehicle parked on a flat surface, press down hard on the hood/trunk and release. The car should bounce back to neutral and stabilize immediately. Any extra up and down motions or rocking is an indication of worn shock absorbers. Transmission repairs are rarely appropriate for the home mechanic. Transmissions are among the most complex assemblies on the vehicle and a failure in the transmission often renders the car inoperable. Additionally, a transmission failure is rarely fixed for less than several thousand dollars often rendering the repair as costly as a significant portion of the vehicle's worth. Image Courtesy - “Ford Focus review 5 of 7” by Robert Couse-Baker on Flickr, licensed under CC BY 2.0. The transmission is an area where an ounce of prevention is worth a pound of cure. For these reasons, have the transmission of any vehicle maintained in accordance with the manufacturer's recommendation. 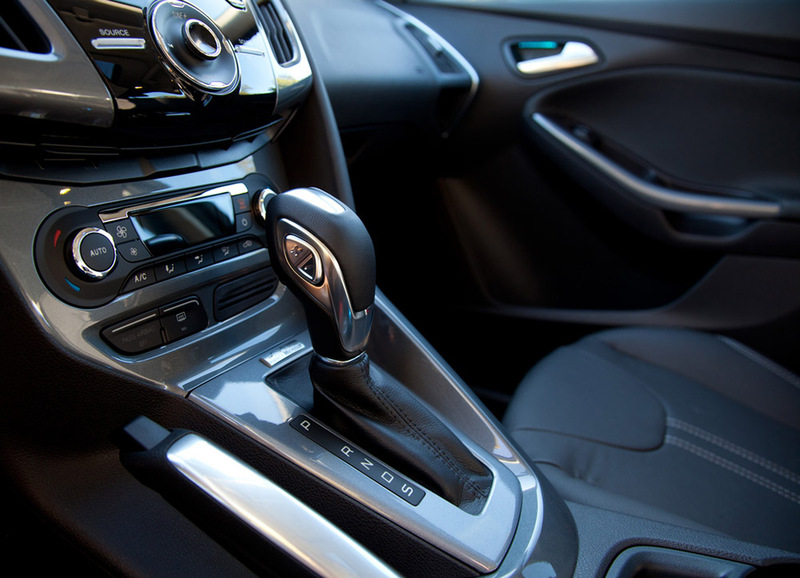 If you notice grinding sounds, failures to shift, a slip and accompanying rev in RPM during shifting, a clunk when shifting into drive, or difficulty shifting, have the transmission checked out immediately. Numerous other subsystems on the vehicle may occasionally require repair. For example, air conditioning systems can be costly to repair and should be inspected if any changes to air conditioning are noted. Likewise, a dead battery can be a major hassle. Periodic inspection and replacement of the battery should be considered as a good preventative especially if the battery is older than three years aged. Related to good battery power is the starter, another part that can be a major hassle to have fail. Grinding or sticking starter sounds should be checked. Also, exhaust systems periodically need to be inspected and repaired. Mufflers, catalytic converters, Oxygen sensors and manifolds must be in good working order if a vehicle is to pass municipal emissions test. These parts often require welded fitting and pipe forming to repair. Finally, it is worth noting that glass repairs usually require special tools and equipment to perform. A cracked windshield represents a visibility concern and ultimately a safety hazard. When glass needs to be replaced, surely the professionals should do the work. 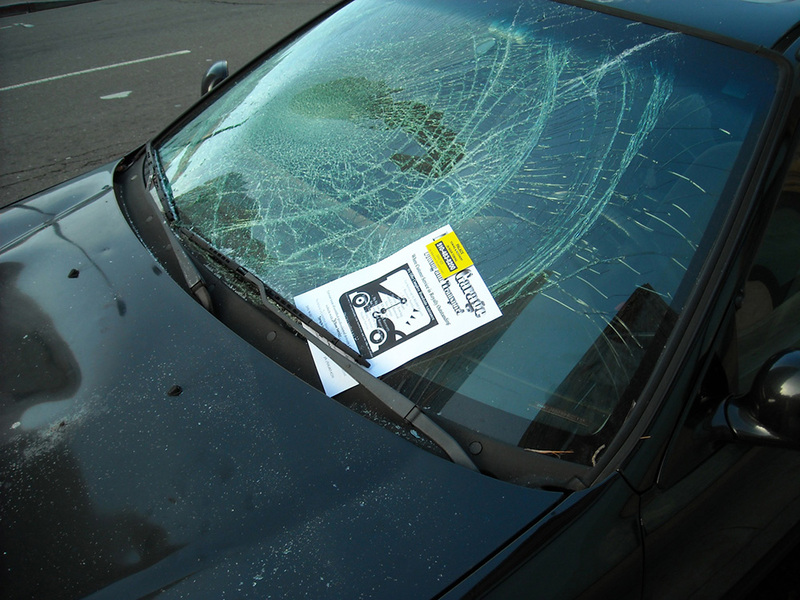 Image Courtesy - “Car with Broken Windshield” by Daniel Ramirez on Flickr, licensed under CC BY 2.0. Although there are some vehicle repairs that can be performed safely by the do-it-yourself mechanic, there are numerous others that are best left to the professionals. Among the vehicle's assemblies are systems that are so safety critical that professional judgment is almost always called for. Likewise, repairs may require complicated processes, expensive tools, or so much time so as to be prohibitive to the general vehicle owner. Additionally, many repair shops offer basic inspection services and professional advice for free. By paying close attention to the signs and symptoms shown by a vehicle, any driver is able to detect the changes that indicate when professional help is required. 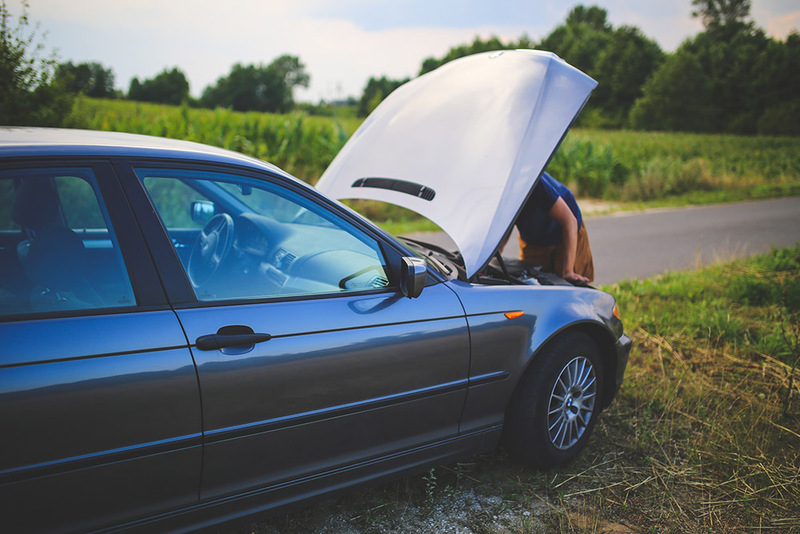 When professional assistance is required, the mechanic will appreciate having clear information about the conditions that are causing the concern.